Home > Exterior Car Care > Car Paint, Glass, Wheel & Trim Coatings > CarPro Cquartz Fabric Coating 100 ml. 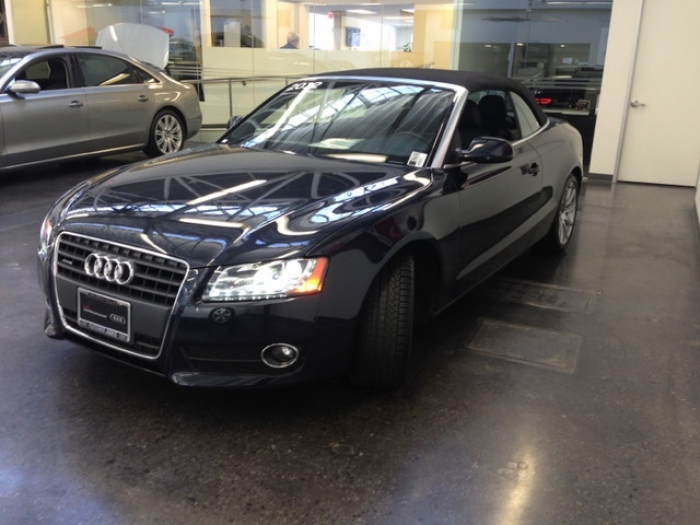 2012 Audi A5 convertible (black fabric roof in good shape), 20K miles. Vacuumed and cleaned top. Dried overnight. Before beginning application, I used a natural bristle brush ro remove any lint or small debris. This also fluffed up and separated the fibers preparing it to receive the protection. I applied the fabric protector in 2 thin coats, overlapping at the seams and edges. Made sure I applied cquartz when the weather was above 60 degees and low humidity for a few days. I used a powerful hair dryer in between coats and at the end. I also started the car and blasted the heat with the A/C on for about 15 minutes. This helps remove moisture from the inside. I let it sit in the garage overnight. 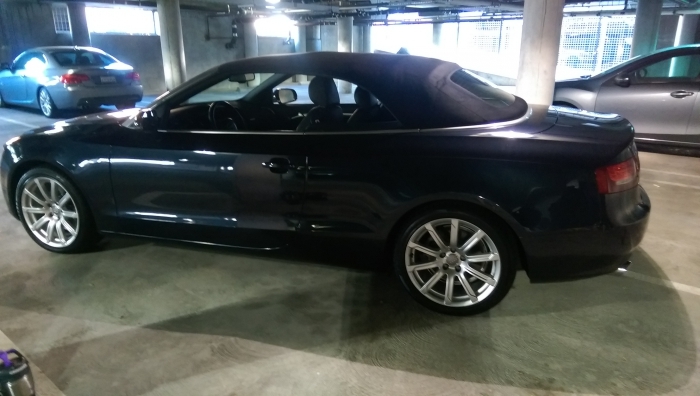 The next day I put car in the sun and took it for a few short rides in the sunshine with the top up. I did this for 2 days. Each day it got less and less tacky. The weather was stable. 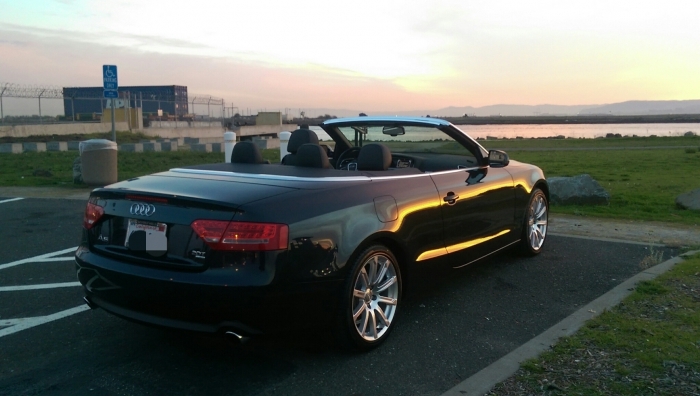 After a few days the top was fine, looks great with slightly darkened, even color, protected roof. When I wash the car the roof beads up like crazy. To clean the roof I use water pressure and a mild soap if needed. I think the weather and thin applications are critical issues to be considered for a successful application. I will purchase this product again and recommend it. ProsVery effective so far, its been a few months. Easy to apply. ConsA little bit fussy about how it dries. Can be tacky for a few days. Must be applied in warmer, dry weather. Usually easy to plan. After watching the videos on this product and haveing great results using other products from Capro I decided to try this. First attempt was on car mats. The sprayer did not work correctly and leaked all over. I did repel some water but alot soaked in. After messing with the with it I was able to get it to spray a little better and tested it out on a couple of cleaned(steam cleaned) throw pillows. after curing with a heat gun and letting them air dry for a day the product worked ok, It did repel water but not like in the videos some water did penetrate into the pillows. I tried heavy coats and light coats with the same results. Used as directed but now the fabric top is sticky feeling. Car sat in sun and I used a blow dryer on it. It's been 3 days since it was applied and it still feels sticky. Not happy with results. When I first received this, I thought wow for the money I sure didn't get alot but after apply to car seats, I still had some leftover. My seats are cloth & leatherette, so I sprayed on & wiped over the seats. Seemed to work well. Smell lasted less than a week. I don't know if product works yet but time will tell.